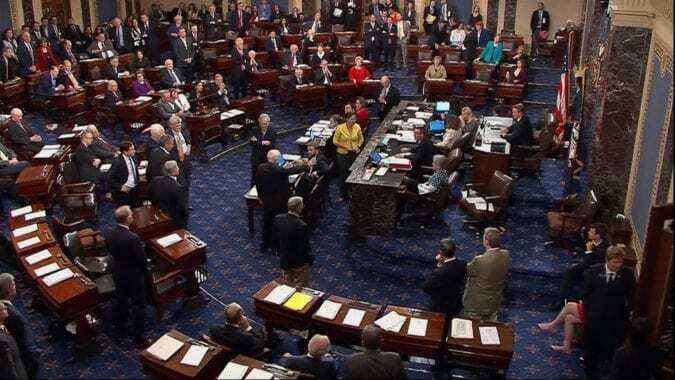 By now we’re sure you’ve heard that Senate Republicans failed to pass a health bill in July, with the deciding vote cast by John McCain in a dramatic, late-night session. (In a healthcare bloggers’ nightmare, Senate Republicans managed to schedule the vote while I was on a camping trip, and when I got back we had to switch web servers and couldn’t upload anything.) Now that the smoke has cleared somewhat, we thought it would be helpful to take a look back at what exactly happened– not to mention how completely insane the process was– and what it means for healthcare moving forward. Generally when the Senate considers any major piece of legislation, it works through a process called regular order. The proposed bill is first sent to the relevant Senate committee or committees, which will hold public hearings, inviting experts and major stakeholders to comment. That’s followed by a “markup,” during which committee members of both parties can offer amendments. The hearings and markup can take weeks or longer (especially if it’s something as complicated as reforming the healthcare system). If the committee approves the bill, it moves to the Senate floor, where there is more debate and amendments from the Senate as a whole before it is voted on. Under regular order, bills can be filibustered, meaning they require a 60-vote supermajority to pass. In their effort to repeal and replace the Affordable Care Act, Senate Republicans threw regular order out the window. At the start of the year, Republicans passed a budget resolution that would allow them to use what’s known as “budget reconciliation” to pass a healthcare bill. The upside for Republicans was that bills considered under reconciliation can’t be filibustered, and only require 51 votes to pass. However, they’re also subject to the “Byrd rule,” which says that only provisions with a direct effect on the federal budget can be considered. The Byrd rule meant that some provisions Republicans would have liked to include were tossed out by the Senate parliamentarian, before debate even started. There are basically four steps once a reconciliation bill is sent to the floor of the Senate. First is a vote on the “motion to proceed”– in other words a motion to begin debate on the bill. The motion to proceed vote happened on Tuesday, July 25, and every Republican senator, with the exception of Susan Collins and Lisa Murkowski voted for it. Better Care Reconciliation Act with Cruz Amendment (aka “repeal and replace”): When most people talked about “the Senate health bill,” they were talking about the BCRA — it would have converted the ACA’s income-based subsidies into age-based subsidies pegged to less generous plans; let states opt out of key Obamacare consumer protections; ended funding for the ACA’s Medicaid expansion; and dramatically reduced federal funding for “traditional” Medicaid. Conservatives felt the original version of the BCRA didn’t eliminate enough of the ACA’s regulations on insurance plans, so a week-and-a-half before the vote, Senate Republicans released a revised version, which included an amendment from Ted Cruz. His amendment would have let insurers once again refuse to cover people with pre-existing conditions, sell plans that didn’t cover important benefits (like prescription drugs or mental health), and place annual and lifetime caps on benefits. This revised bill was only released a week-and-a-half before voting began, so the CBO didn’t have a chance to score Cruz’s proposal, which the insurance industry had called “unworkable in any form.” This bill was rejected 43-57, with nine Republicans voting against it. Obamacare Repeal and Reconciliation Act (aka “repeal and delay”): This bill was essentially the same as a bill that Senate Republicans had already voted for in 2015 that President Obama had vetoed. It would have repealed the ACA’s insurance expansion and taxes entirely, but with a two year delay, during which time Republicans would presumably figure out an actual replacement plan. The bill was also rejected 45-55, with seven Republicans voting against it. The failure of these bills wasn’t all that surprising: even before the voting process had begun, enough Senators had announced their opposition to kill both of them. The real bill– the one that Republican leaders thought had the best chance of passing– would come later. After the twenty hours of floor debate, Senators from both parties then have a chance to offer unlimited amendments, in what’s often called “vote-a-rama.” It’s like a lightning round for amendments, because unlike the first 20 hours, there’s no requirement to hold at least an hour of debate on each one. This vote-a-rama was expected to last all night, and at the very end Mitch McConnell would release the final version of the bill, which up until then, no Democrats (or the American public) would have seen. Health Care Freedom Act, aka “skinny repeal”: would have repealed a handful of ACA provisions, including the individual mandate, the employer mandate, the prevention and public health fund, and the medical device tax. It also would have let states possibly opt out of some other Obamacare regulations and defunded Planned Parenthood. While Republicans hadn’t released the text of their skinny repeal bill, several Republican Senators who had seen it weren’t crazy about it. Thursday evening, shortly before the scheduled vote, Senators Graham (SC), McCain (AZ), and Johnson (WI) delivered a joint press conference saying that they wouldn’t vote for the skinny repeal bill unless they got “assurances” from House leaders that it would go to a conference committee instead of simply being passed as is. The CBO released a score of the bill at 11:30pm saying that 16 million fewer people would be covered and premiums would increase 20% as a result of skinny repeal. Republicans still had some time left on the 20-hour clock after the bill was released (Democrats had used up theirs). However, rather than answer questions about the bill or even defend its merits, senate Republicans had Wyoming Senator Mike Enzi waste the remaining time by “rambling on a wide variety of topics, almost none of which had anything to do with the bill under consideration.” Voting on the bill began at around 1am. It’s hard to overstate just how crazy this process was. Republican Senators released a secret bill that would affect a sixth of the economy and leave 16 million Americans without health coverage just hours before it was to be voted on. There was no public debate about its possible effects. Meanwhile, several Republican senators said they would only vote for it, if they were assured that it wouldn’t become law. And it almost passed. Every Republican Senator voted for it, with the exception of Susan Collins, Lisa Murkowski, and, to almost everyone’s surprise, John McCain. In the end, McCain probably saved Republicans from a disaster and gave Republican senators the best of both worlds. They can say they voted to repeal Obamacare (satisfying the Republican base), but don’t have to live with the consequences of destroying the individual market for insurance (which would kill them in the general election). Still, it says something about the Republican replacement plans that the only way they thought they could pass was if none of us saw what was in them; and it says more about the dysfunction of the Senate that it came within one vote of working. Luckily, Senate Republicans have said they’re done trying to repeal the ACA, at least for the rest of this year. In our next post, we’ll look at what that means for healthcare in the near future. Next post: What’s next for the GOP on healthcare? They basically have two choices.